We reap what we sow, but we also reap what others before us have sown. If we do this unconsciously, we find ourselves victims of unfortunate circumstances, but if we are conscious of what we have taken on from our family legacy, we can turn it around. Doctors Bedi and Matthews have worked with people who have carried the burden of their families' best achievements, worst failures, and unrealized dreams. With their experience, we learn to recognize our karmic inheritance and settle our family's karmic accounts so we can redirect our energies in accord with our own true path and passion, our soul's calling. Bedi and Matthews explain how ancestral karma gets energetically encoded in the chakras of our subtle body and manifests as chakra blockages or overactivity. They provide case histories from their patients, an analysis of the Kennedy family history, as well as the archetypal example of the history of the House of Atreus--the Greek legacy of family betrayal stemming from Tantalus to Atreus and Thyestes, to Agamemnon and finally, Orestes. 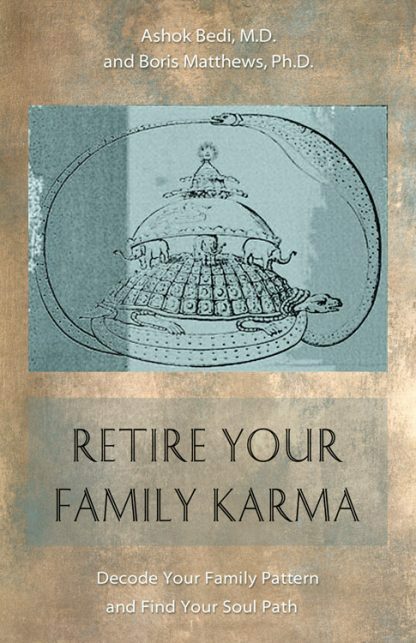 In addition to these examples and illuminating case studies, the authors teach us how to use dreamwork, journaling, and diagramming our family tree as tools for identifying and overcoming inherited karma. To totally comprehend our roots and to realize our destiny, we must look beyond our individual life and understand our ancestral context in order to make sense of our journey. Once we have identified the blessings and the curses we have inherited, we have the possibility of choice. The best way to break old patterns is to work on establishing new ones. Charles Phillips is a prolific author specializing in popular history, mythology, cinema & arts, popular science, and popular psychology. Charles was also a contributor to the Reader�s Digest Compendium of Puzzles and Brain Teasers.